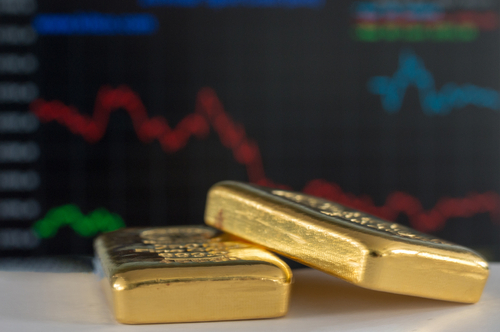 Gold prices were modestly high last week reacting over a mixed bag of economic reports and geopolitical events. The yellow metal has been able to furnish gains over slightly weak US dollar. GOLD PRICES rose against a falling US Dollar on Friday, halving last week’s 1.9% drop to trade back above $1220 per ounce as Western stock markets fell and crude oil rallied from this month’s 17% plunge so far. Gold prices ended higher on Thursday, shaking off pressure from a stronger dollar to hold on to a week-to-date gain as U.S. and European equities declined. BREXIT- The issues around Brexit have invigorated a little bit of safe-haven buying in the precious metals market. In the past week, U.K. Prime Minister Theresa May had two of her cabinet members resign Thursday, including her Brexit secretary, following May’s pronouncement Wednesday that she is sticking with her controversial Brexit plan. The British pound sunk on the news of the resignations, while European bond yields rose. Talks of a no confidence vote for May were also doing the rounds. This led to some safe haven buying in gold though it did not create that much an impact on the world marketplace. DOLLAR- while the U.S. dollar remains the strongest and most consistent factor for gold, it’s likely that correlations with other asset classes will begin to strengthen and re-emerge over the next 6-12 months and thus reassert themselves in gold’s favour. Furthermore, the marketplace took note of U.S. Federal Reserve Chairman Jerome Powell’s comments at a speech late Wednesday that the Fed is closely monitoring the modest deceleration in world economic growth. However, Powell implied that situation is not now altering the Fed’s monetary policy tenor of continuing to slowly raise U.S. interest rates. Powell added that a further U.S. stock market selloff could impact the Fed’s policy decisions. Any further weakness in the dollar due to Feds decisions will pull gold prices high. EQUITIES- Currently equities don’t belong to anyone and it appears to be in no-man’s-land. Gold and silver are seeing a bit of support as the U.S. stock indexes have backed down and might fall further. Any stronger stock market selling pressure surfacing in the near future would likely more significantly benefit gold and silver prices. What we see from the above explanations is that the markets are now moving focus from dollar to geopolitical events. But one notable interesting thing we see coming in is from China. China has developed tremendously in recent years. But what’s next? Is the country entering the growth recession? And how it will affect the world and the gold market? Indeed, at the turn of this century, China was a minor player in this market. While today it is both the world’s largest consumer and producer of gold, accounting for 23% of total gold demand and 13% of total gold supply. However, there are still opportunities for further development, as the investor base is too narrow, while the market infrastructure and regulations need to improve. So far, the Chinese authorities have postponed the inevitable slowdown. But it will arrive one day. Given the economy’s massive leverage, the growth recession is likely to cause a financial crisis, which would hit the whole world. Gold should shine, then. The problem is that nobody knows when it will happen. While we remain positive on gold prices going toward and into 2019, gold still seems to lack clear price directionality for the time being.